Absolutely stunning embroidered Toledo dress, released as part of the bridal range to try on from August 2018 and I was the first (I think) to wear in December. The dress is size 12, and I am 10/12 - I'm slightly more curvy on the bust than waist! Could fit a 10 or 12. 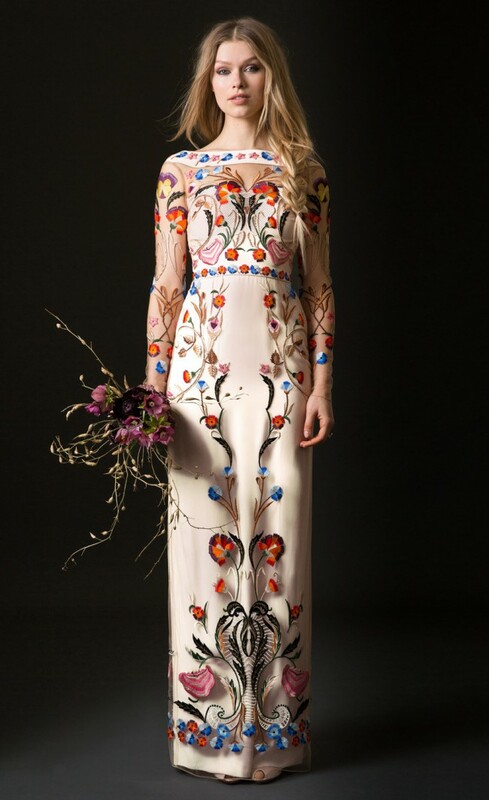 It is truly beautiful to wear with sheer embroidered sleeves. The dress has been professionally cleaned by bridal specialists, and comes from a pet and smoke free home. This dress is absolutely beautiful and incredibly special! Taken up a centimetre or so. I am 5ft 7" and wore 4 inch heels and it skimmed the floor, plenty of room to be taken up from the floor to the start of the embroidery. Slight adjustment on the waist but very minor as fit almost perfectly.